Moving forward from our past fabric-focused show in 2011, Talking Textiles #2 aims to redefine the perception of fabric, dispelling the general perception of it as mere craftwork. 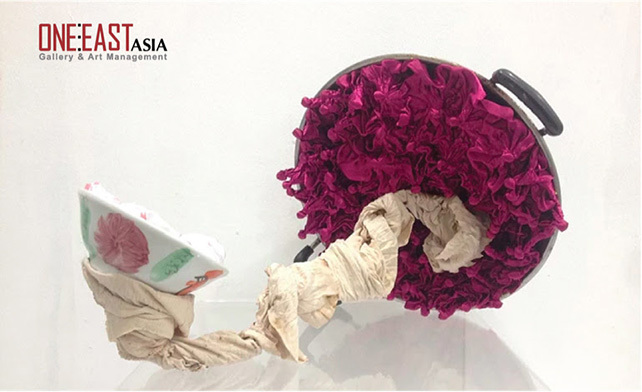 In revolving around and relating to the material, five graduates from Nanyang Academy of Fine Arts and LASALLE College of the Arts will present a selection of new works that portray their journey of experimentation and development, each told in their own unique visual language. Aimed to achieve beyond what is commonly seen and done, Talking Textiles #2 explores the unlimited potential of textiles – beyond the expectations of a fabric’s designated form and function.